The Third Elective Congress began on Monday January 23, with a Mass of the Holy Spirit, concelebrated by Msgr. Fernando Ocáriz with the other priest electors. “Paraclitum autem, Spiritus Sanctus, quem mittet Pater in nomine meo, ille vos docebit omnia (Jn 14:26). The Holy Spirit will teach you all things. Let us ask the Paraclete to teach us, to guide us, so that we choose the person he wants. At the same time we are already asking him to assist the new Father. May the Holy Spirit, who is the infinite personal Love of God, pour forth his gifts on the whole Work: this is the requirement for being united and effective. Early in the afternoon on Monday the 23rd, the Elective Congress began with the plenary meetings. Once the procedures established by the specific rules of the Congress were completed, the proposals of the plenum of the Central Advisory were communicated to the members of the Congress, and following this the voting took place. The person elected was Msgr. Fernando Ocáriz Braña, till then the Auxiliary Vicar of the Prelature. The one in charge of scrutinizing the ballots, in the name of the Congress, asked him if he accepted. Msgr. Ocáriz responded affirmatively. On the same day the result of the election was communicated to the Holy Father and his confirmation was requested. 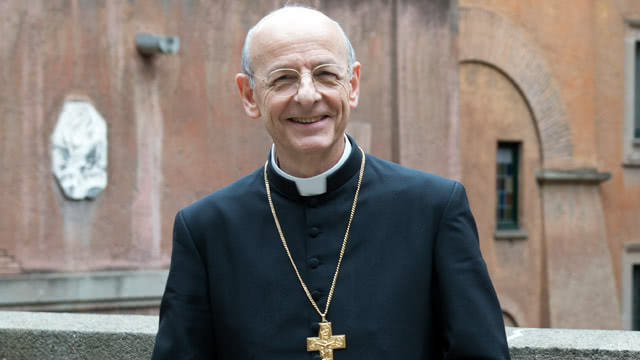 Late on that same Monday, January 23rd, Pope Francis appointed Msgr. Fernando Ocáriz Braña as Prelate of Opus Dei. With his appointment, Msgr. Fernando Ocáriz became the third successor of St. Josemaría as head of the Prelature. Romana, No. 64, January-June 2017, p. 12-13.